This is the full speech given today by shadow business secretary Clive Lewis at the Royal Society of Chemistry. I’d like to thank our hosts the Royal Society of Chemistry who’ve generously allowed us the use of this fantastic venue this morning: an institution that lists ‘innovation, collaboration, inclusion and diversity’ as core to all it does. Values I intend to demonstrate today are core to Labour’s Industrial Strategy. And of course I’d like to thank you, the audience, who’ve come today to listen to Labour’s vision for the economy, business and workers. 2016 has been a year in which old certainties have been uprooted. A chasm has opened up between the people and their elected representatives. The haves and have nots. Between those confident of their life-chances and those angry at their lack of them. The challenge for all of us – politicians, the business community, workers and their trade unions – is how to forge a new, social contract that can bridge that divide. A contract that brings with it every person, every generation, every community. A contract that leaves no one behind. That offers everyone a chance to participate. The era of political arrogance and complacency must end. What was it but arrogance that led David Cameron to offer a referendum on EU membership without bothering to think about how he would deliver the result? Or complacency that meant when it came to the result he had absolutely no plan how to make the outcome work? The voice of the people must be heard, he said. But he failed in his Premiership to listen to the growing discontent of millions, from Stevenage to Sunderland. Five months on we have a new Prime Minister, but little has changed. The Government sits in a Brexit policy vacuum. Meanwhile British business is left waiting: concerned for the future, unable to plan, struggling to invest. Of course, uncertainty is a normal part of any business, something many of you will have a great deal of experience managing. Unfortunately, for too many businesses they’ve long stopped skating on the edge and fallen into the maw of indecision, doubt and confusion. That’s because there’s nothing ‘adventurous’ about being kept in the dark about whether we’ll be seeking membership of the single market, a customs union, or rolling out of the EU after two years on nothing more than WTO rules. Nothing bold about being kept in the dark as to Government plans for allowing businesses access to the skilled European workers they need. Nothing exciting about ignorance as to what will happen to the hundreds of thousands of skilled EU workers UK PLC currently employs. No blueprint, no design, not even a draft of what to do next. It’s no wonder that earlier this morning a business woman explained to me why she wanted former England manager Roy Hodgson, instead of Theresa May, over-seeing Brexit. Because, she said, he’s got a much better record for leaving Europe swiftly and decisively! You may have once been the ‘party of business’ but as of now you’ve lost the right to claim that mantle. Your failure to provide a clear, transparent and decisive approach to Brexit is jeopardising the livelihoods of millions of British people and putting at risk the UK’s international reputation as a place to do business. I say to the Prime Minister and her Cabinet: End the chaos. End the uncertainty. Pull yourselves together. Get your act together. Start to fight for British business and the millions of people they employ. Because we know the utter incompetence of the present Government has left British business and British industry – people who need to plan their investment months and years ahead – in the dark. And to the business community here today I say this – I’ve met with you, I’ve listened to your concerns, and I’m here to say Labour will support you at this critical and uncertain time. We believe that the health of our economy must be paramount in Brexit negotiations. We believe that, handled correctly, Britain can secure full access to the single market for every business that needs it. We believe Britain needs a sensible policy on immigration that allows businesses to get the skills they need without undercutting domestic workers. Labour’s commitment to UK business does not begin and end with Brexit. I’m committed – Labour is committed – to building a new and lasting relationship with you. The next Labour Government will offer a New Deal for business; a contract between Government, business and workers. An agreement to change how we do business with each other. A pledge to Britain to work together for the good of our economy and for the good of our country. Labour’s national education service will ensure business has access to skilled workers in the long run. Within the constraints of our fiscal credibility rule, we’ll invest in the infrastructure our economy needs to flourish. We’ll make sure that you all have the public services you all need to flourish: an efficient Post Office, a well administered Companies House, good public transport, fast and comprehensive broadband, that SMEs can get through to HMRC. In return we’ll be asking for a little more in corporation tax, whilst still maintaining one of the lowest rates in the world. But this must be from all businesses – because it’s not right for SMEs to pay their taxes while the Starbucks of this world exploit loopholes to avoid it. We’ll also ensure workers are a key part of this new relationship. They, too, need a better deal on pay and job security. Because the Government will have failed our country, and everyone who voted to leave the EU, if Brexit fires the starting gun in a race to the bottom. Let’s not forget the Leave vote was strongest in Britain’s forgotten areas. Post-industrial towns, cities and coastal communities. Places that never recovered from de-industrialization in the 1980s. Places that have been shaken by decades of untrammelled globalisation. It’s our failure of these communities that has, in part, led us to the current chaos. The political stability that business needs can only be built on a firm foundation of economic justice and mutual respect. an economy in which short-termism holds too much sway over decision-making, an economy in which too many people and too many places are left behind. Our New Deal is about confronting the big challenges of our age: climate change, inequality and political unrest, stagnant growth and productivity, an ageing population. Business can’t do this by themselves, and nor can Government – we need a partnership. And at the heart of this partnership will be Labour’s industrial strategy. Now, there’s been a lot of talk about industrial strategy of late. But what does it mean? what does an industrial strategy for Britain in the 21st Century look like? Well a Labour approach would not be the piecemeal approach this Government has adopted so far. An approach where one major car manufacturer is provided with assurances whilst the rest of that industry is left guessing. Don’t get me wrong, Nissan’s decision to continue producing in the UK was a great relief and a decision I welcome enormously. But, as our struggling steel industry knows only too well, an industrial strategy cannot be conducted business by business, at a rate of one every six months. We said at the time that all carmakers, all strategically important industries, all sectors, needed the same assurances given to Nissan. That a forward-looking industrial strategy should equip all businesses to adjust and take advantage of new opportunities. So today we’ll go further by laying out the following tests – to ourselves, as well as the Government – that an industrial strategy must pass if it’s to meet the needs of Britain in the 21st Century. First. Foremost. It must make Britain one of the most dynamic, competitive and productive economies in the world. This means maintaining and building on our strengths – advanced manufacturing, automotive, aerospace, digital, bio-tech and the cultural and creative industries. And it means engaging new markets. Harnessing the benefits of new technologies. Galvanising activity across sectors. Britain has many great strengths to build on, but the pace of technological change is speeding up and we have to stay ahead of the curve. More than that, we must drive the curve, in the interests of citizens, consumers and business alike. It’s only through innovation that we can achieve smart, sustainable and inclusive growth. To be competitive, we need to harness the skills and productivity of all our workforce. Technology can enable us to do that. We must lead the world into the fourth industrial revolution – just as we did the first. Second, it must take our whole country with it. Shifting our economy’s centre of gravity away from London is a necessity, to Londoners suffering a cost of living crisis, as much as for the regions left behind. But it’s not enough, as the Government are doing, to add to a city-bias in the South-East, a city-bias in the North. The idea that only cities can be the engines of growth has weighed too heavily on all of us in recent times. This country is much more than its big cities. There are now more than 40,000 towns in Britain and we want to unlock the potential of every single one of them. Third, it must be people-centred, providing good jobs and improving working conditions for people across the country. This means well-paid, secure jobs and a proper role for our trade unions. And it means equipping workers for an era in which technological change is ever more rapid. That means providing life-long support and retraining to those working in sectors that are changing fastest, and ensuring that the growing numbers entering self-employment enjoy the rights and the social-safety nets they deserve. Good employers know the difference between average and world class lies in the extent to which you un-tap the endless potential and creativity of employees. The transformation of great industries like automotive shows us that partnership between management and unions is vital. Good management and strong unions acting together for change. The National Minimum Wage must – ultimately – become a real Living Wage, one that does exactly what it says on the tin. State-sanctioned poverty pay is not the path to a better future. Fourth, a successful industrial strategy will depend on – and create – a healthy business culture. By providing access to patient finance and a healthy investment climate, we’ll tackle short-termism, and support the value-creators while taking on those who use companies merely to extract value for their own personal gain. I have no doubt the overwhelming majority of businesses agree with us on this – that many businesses already do this. Rest assured, we won’t allow the voices of cynicism to cloud our judgement of the contribution business makes to this country. But nor can the Philip Greens of this world be allowed to continue to go unchecked. As part of our New Deal for business, we’ll work together to make it harder for good businesses to be undercut by bad. Too often an industrial strategy is a by-word for a series of disjointed policy interventions and vague platitudes in search of a newspaper headline. The scale of the challenges we must now confront mean this is no longer good enough. Instead, we’re working with international industrial and innovation economists like Mariana Mazzucato to develop a mission-orientated industrial strategy. One that rallies the nation’s resource, public and private, natural and human, financial and productive, to meet specific, measurable and time-limited accomplishments. This certainly isn’t about picking winners, or pouring good money after bad into white-elephants. Instead we’ll set the missions – put in place the right institutional framework and support – and then let business figure out how to get there. We’ll initiate and direct a wave of innovation across a range of industries. So, today, I’m pleased to announce the first of these missions: the next Labour Government will ensure 60 percent of our energy comes from low carbon or renewable sources by 2030. We will nurture internationally competitive domestic industries – including, crucially, supply chains – through seed funding and subsidies, focused on areas that lost their livelihoods with de-industrialisation. This will include funding tidal lagoon technology, and replacing programmes for the development of CCS technologies that were cut by this Government. Let’s be clear – a new vision for business that isn’t ecologically sustainable is a mirage. Each of them will require business and Government to work together in partnership to tackle the key challenges of our age, whilst ensuring our economy is fit for the 21st Century. I began my speech today by talking about the times we live in and the sense that we stand at a crossroads in the history of our country and in the history of the world. About the need to steer our economy on to a new path, one that’ll bring about the social creation and distribution of wealth in a way that sets an economy on the firm foundation of social & political stability. This is not the time for tinkering around the edges or standing behind the mantra of blind faith in failed orthodoxy. We need a new vision, a new path. Today I’ve shown that it’s the Labour Party that are responding to the new challenges of our era, with boldness and with confidence. Because let’s be clear; many of the political shocks that have made up this global earthquake are ones that point towards economic protectionism, xenophobia and division between nations. The future Industrial Strategy of the UK is no longer just a point of competition between political parties; it’s key to steering our country into calmer waters. I ask you to join me on that journey because together we can deliver a Britain for all. Where we’re all winners and where we can be proud of our country and what it stands for. 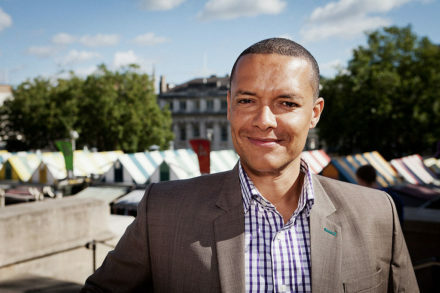 Clive Lewis is MP for Norwich South and shadow Treasury minister.